This is the first installment of “My Close Encounters with Steve Jobs,” a fantastic series of stories about the early days of the Mac written by the founder of Macworld magazine, David Bunnell. Bunnell meets Jobs for the first time. He’s nervous because Jobs is in “an extremely foul mood” says the receptionist, maybe because he had an unsuccessful date with Joan Baez the night before. Also, Bill Gates tells Bunnell he’s going to buy a Mac for his mother. Gates and his cohorts are so excited about the Mac, they’re all buying up Apple stock (possibly in violation of SEC insider-trading rules). Young Steve Jobs had movie star good looks. 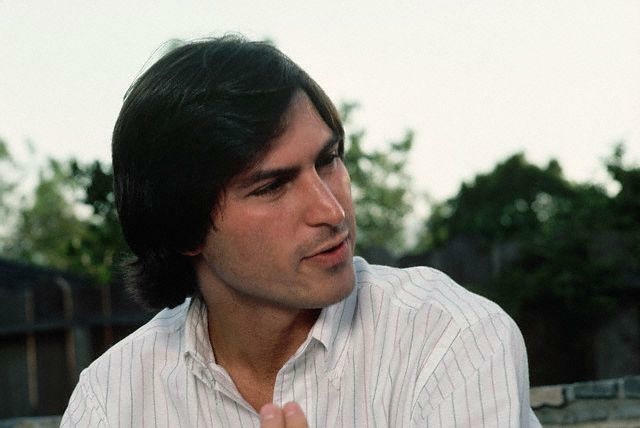 At age 28, Steven P. Jobs, Chairman of Apple Computer, was on top of his game—rich, famous, spoiled, and seemingly unrestrained by the usual social mores. He had the chiseled face, jutting jaw and thick black hair of a typical matinee idol. Yet, he was hardly conventional. The sleeves of the understated gray cashmere sweater he wore that October morning in 1983, on top a simple white, v-neck t-shirt, were pushed up just enough to reveal the coolest watch I had ever seen, strapped high on his left forearm. I wanted very much to get a closer look at it, but I didn’t dare. In those early, pre-email, pre-Internet days of the personal computer industry, Steve was on a mission to remake the company he co-founded with the “other” Steve and not just coincidentally change the world at large. He was going to do this by building a truly revolutionary new computer called the Macintosh. “His date with Joan Baez last night must not have gone so well,” she said. At this moment, however, Steve’s unblinking laser eyes were locked on mine as I strained not to look away. I was experiencing the famous Steve Jobs’ stare-down. I had been warned if I even blinked I risked being written off forever as a phony or a weakling not worth bothering with. Steve and his chief underling, Mike Murray, were interviewing my colleague Andrew Fluegelman and myself in a small room just off the lobby. The reason, they said, was to determine if they could trust us enough to let us come inside the Macintosh development area. Andrew had been the Editor of my computer magazine, PC World, and if things went well, he would soon move on to become the editor of a new, much hipper magazine we were planning to call Macworld. Andrew and I too were on a mission. PC World had been a huge hit–we were routinely printing issues over 500 pages and our little company was immensely profitable, but the IBM Personal Computer was corporate and boring. We found ourselves endlessly reviewing database, spreadsheet and accounting applications. Apple computers could do business things too but at their soul they were designed for more creative uses like composing music and printing out clever postcards and banners which Andrew and I found inspiring and fun. We desperately wanted to cover the “right brain” side of computing and we suspected the Macintosh would allow us to do this. Next: Seeing the Macintosh for the Very First Time. 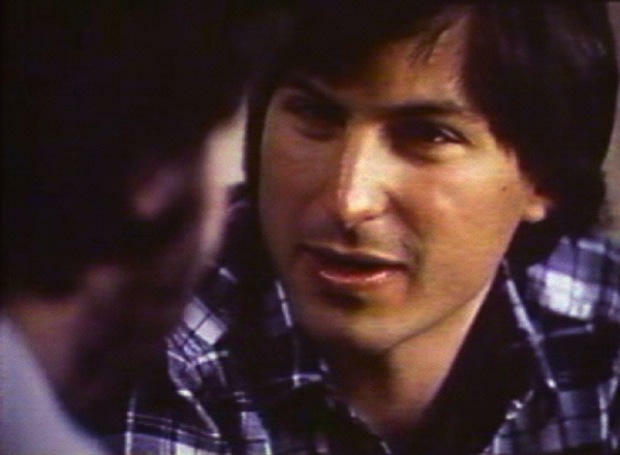 Note: The above is the first installment of a series, “Close Encounters with Steve Jobs,” that I will be publishing in this blog over the course of the next three weeks. It covers the very early days of the Macintosh computer and the publication of Macworld magazine, which I created in 1983 with a lot of help from my friend Andrew Fluegalman and others. I’m publishing it here for the first time because, what the hell, I want to! Enjoy. Copyright 2010 by David Bunnell. All Rights Reserved.